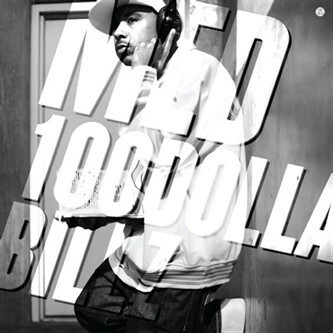 Stones Throw bring the club heat with the long awaited '100 Dolla Billz' single from sometime Lootpack member and label fixture MED aka Medaphoar. Production duties are left in the safe hands of Madlib, dippin' low with a Texan styled slow-rider - all down-pitched electronic bleeps, glutinous bass and rude strings to compliment MED's harder delivery. Flipping it for the beat heads 'Soon Find Out' is closer to what you'd expect from the 'lib, sketching 80's soul bass with swinging drums and lowlit slow-jam vibes. Both tracks come with instrumental, clean and dirty versions. Uh huh.